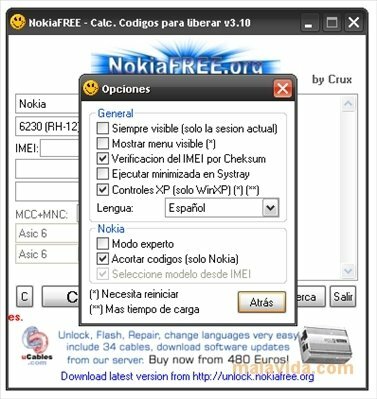 Nokia is one of the most popular brands of mobiles, almost everyone has had a Nokia at some point, and the majority of times thanks to the subsidies by telephone companies. 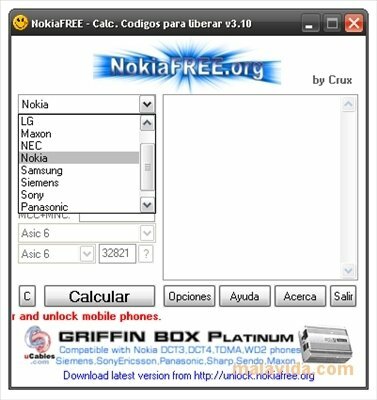 Due to these subsidies, phones are locked so that they can only be used with one company, and with NokiaFree Unlock Phone Codes Calculator, we can unlock them without any problem. 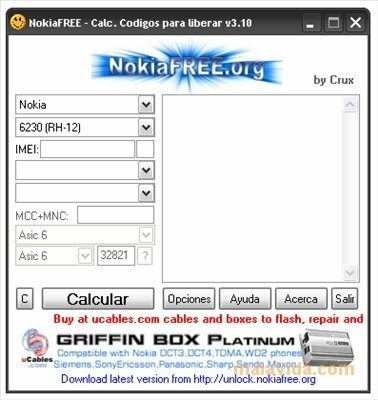 NokiaFree Unlock Phone Codes Calculator doesn't only allow you to unlock Nokia phones by means of IMEI, it also allows you to unlock other well-known makes like Alcatel and Panasonic, always with the simple step of indicating the model, the IMEI number (that's normally on the box and also near the battery inside the terminal) and other minor details to make sure that we are unlocking the proper model. For the time being, it offers support for a good number of mobiles that can be unlocked, thus saving the user from some of the restrictions that the companies apply to mobile phones they have distributed with a subsidy.